Armoured and used in marine applications with special performances on flame spread and low emission of smoke and fumes. 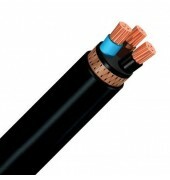 Flexible conductors for fixed applications to provide easy handling during installation. 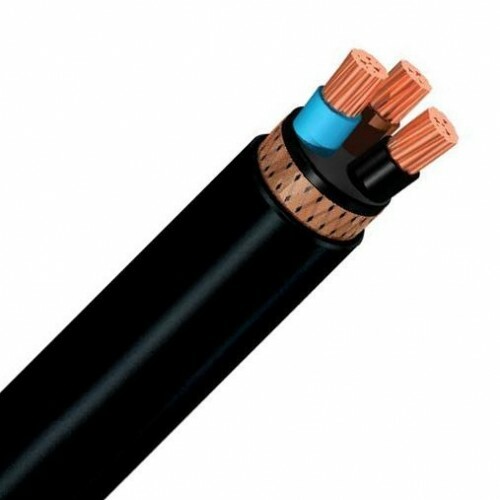 Annealed copper conductor, stranded class 5 according to IEC 60228, Cross linked polyethylene (HF XLPE) insulation according to IEC 60092-351, Thermoplastic polyolefine LSZH (Optional) innersheath, Annealed copper wire braid armour, Thermoplastic polyolefine LSZH (SHF1) outer sheath according to IEC 60092-359.